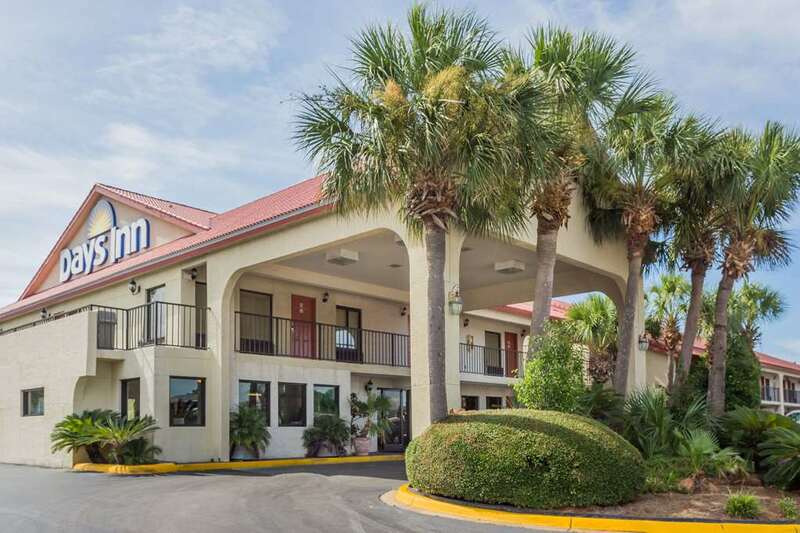 The Days Inn is a 2-story property that offers 55 standard rooms, 3 suites, and 2 rooms with jacuzzi. Rooms consist of queen and king beds, some with kitchenettes and couches. The Days Inn is surrounded by many fine eating establishments, nightclubs, and shopping areas, some within close walking distance. After a free continental breakfast, relax by the pool. The Days Inn is located within a 5 minute drive from sugar white beaches with emerald colored water. Pets accepted - maximum of 2 pets allowed for a non-refundable charge of 20 USD per pet per night with a 50 USD refundable deposit. Pet Sanitation Fee is 50 USD if applicable. ADA certified service animals are also welcome at this hotel. Children 17 and under stay free with an adult.